Why do my users need Miracast? 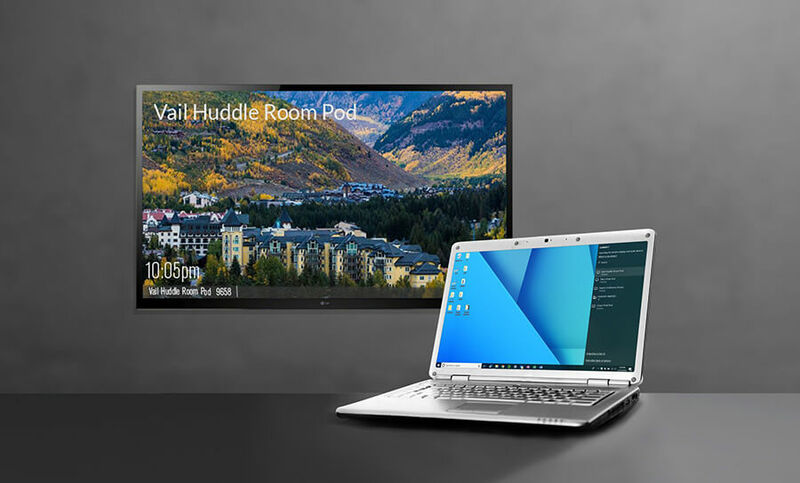 Miracast is a powerful addition to Solstice and will allow your users to wirelessly share content to a display without having to download software, install an app, or plug in a dongle. Now guests and other occasional users who don’t have the Solstice app installed can quickly and easily share content in the meeting space. The Miracast feature works in two stages. In the discovery stage, a Miracast-enabled device searches for active Miracast receivers nearby for the user to connect and stream to. This requires the Solstice Pod’s wireless network interface card to be enabled and not acting as a wireless access point. In the second stage, the device streams content to the Miracast receiver using either an existing network (Miracast over Existing Network) or a peer-to-peer wireless connection (WiFi Direct). How do I enable and configure Miracast? The following network ports/routes are required to support Miracast streaming to Solstice Pods. TCP port 7236: WiFi Direct control port used to establish and manage sessions between the source device and the Pod. Confirm that port 32768:60999 (for Gen2i Pods) is also open. Miracast requires that the Pod be located in close proximity to the display. Miracast discovery operates over a range of approximately 150-200 feet. Only Pods within this range will be displayed in the Miracast source list on the client device. Screen Key. Screen key support for Miracast connections is available via WiFi Direct only. Screen key mode cannot be enabled when Miracast operates over an existing network. If you require the use of screen key, please ensure that you have enabled the WiFi Direct mode only.